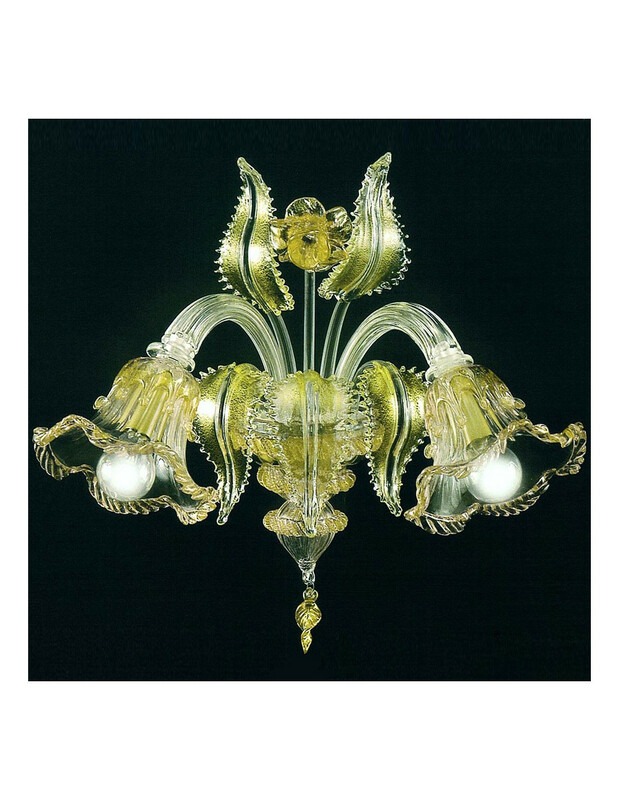 Wall lamp in hand-crafted Murano glass with classic and elegant lines, enriched with flowers and leaves. Pure gold 24k used in the Crystal / Gold version. 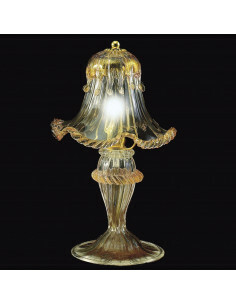 Height: 1 light: 40 cm; 2 lights: 40 cm. 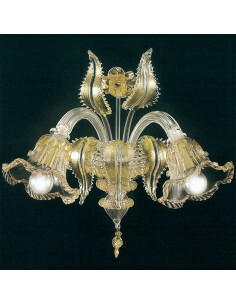 Width: 1 light: 25 cm; 2 lights 40 cm. 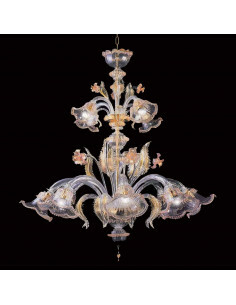 Each item is accompanied by its certificate of authenticity.